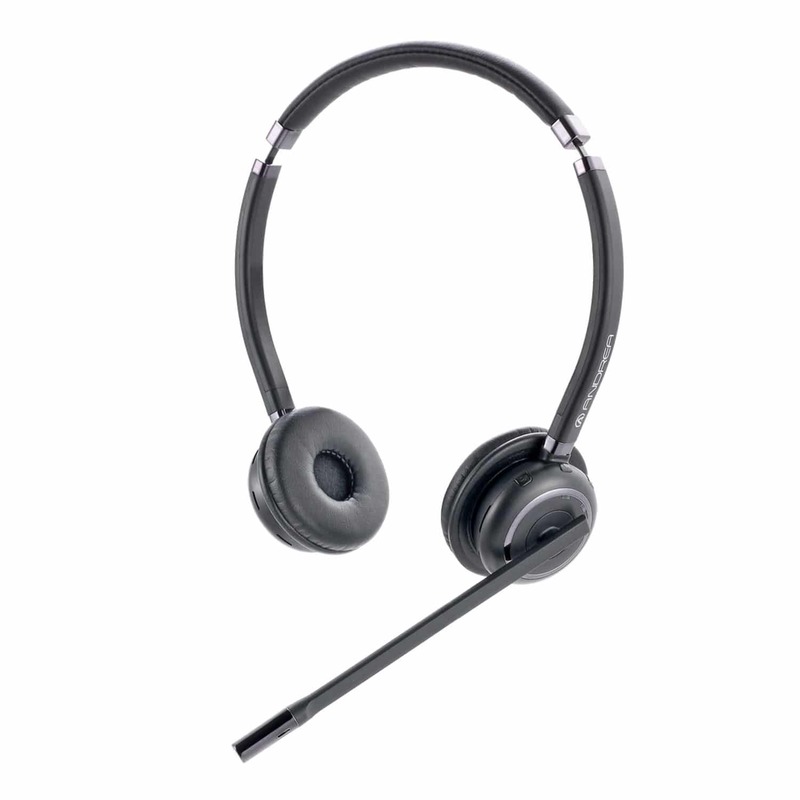 Designed for use with mobile phones, tablets, and computers, the new WNC-2500 Wireless Noise-Canceling Bluetooth® Stereo Headset easily pairs to any Bluetooth-enabled device. With an easy-to-use interface that puts the controls right at your fingertips, the WNC-2500 offers up to 12 hours of talk time. The semi-rigid boom ensures perfect placement of the noise-canceling microphone and rotates 360° for left or right side usage. A durable padded headband and plush leatherette ear cushions provide all-day comfort. Includes a handy carry case for storage and portability.